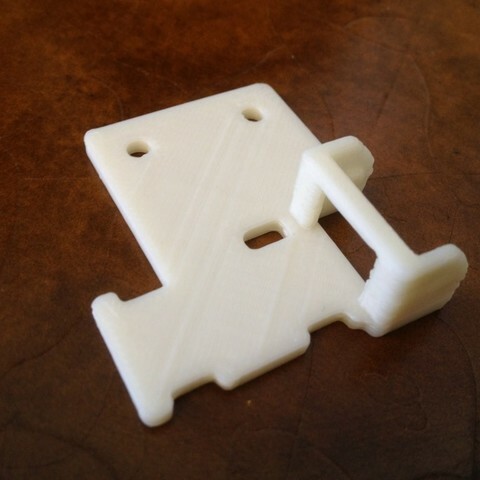 This is an end mount that I made for tosjduenfs' cable chain. 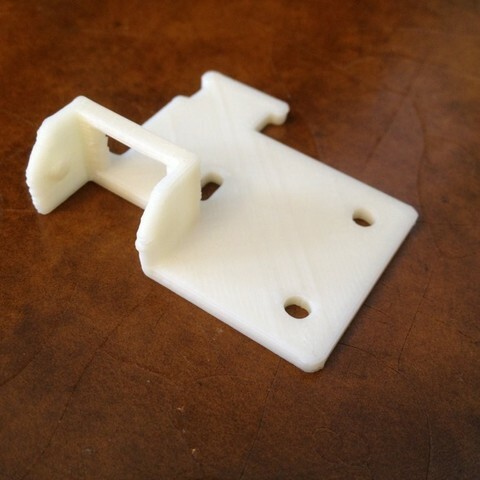 It will screw into my bed mount plate with two #6 machine screws, and will guide my heat bed and thermistor wires, keeping them out of the way. I have had an issue with my heater cables breaking where they attach to the heat bed because of the repeated flexing each time the y axis moves. This mounting plate will not let the cables flex until they reach the cable chain, which will in turn limit the diameter of any bends. 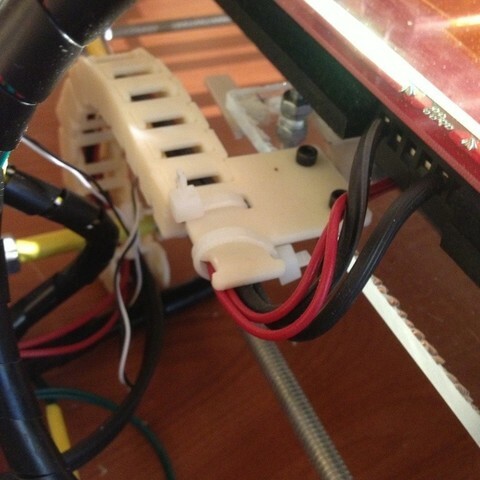 Print the part, and mount it to your bed mount plate under the area where the wires come off of the heated print bed. 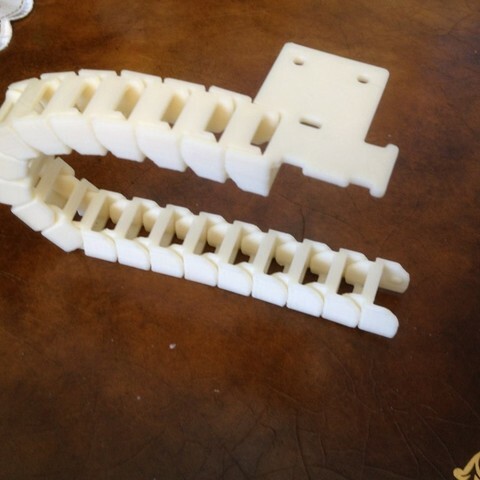 Print your desired length of the matching cable chain and assemble. 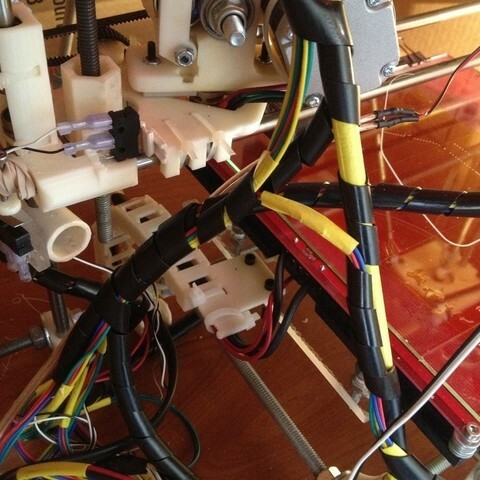 Run the wires through the cable chain, and secure them with two zip ties wrapped in the cutouts. The zip ties will prevent any unwanted flexing.